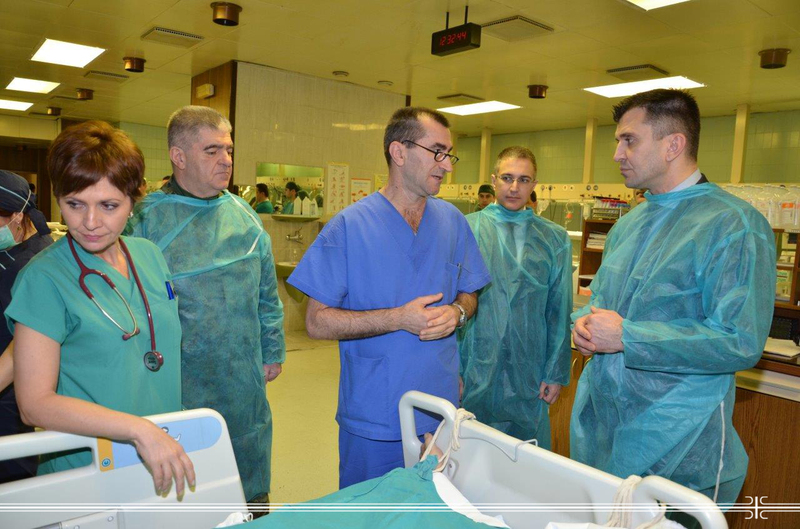 Defence Minister Zoran Djordjevic and Interior Minister Nebojša Stefanović, visited two firefighters, Nenad Milicic and Nebojsa Petkovic at the Military Medical Academy, who were injured yesterday while extinguishing the fire after the explosion at the Technical Overhaul Institution in Kragujevac. Firemen of the Sector for Emergency Management of the Ministry of Interior of Serbia, are hospitalized at the Intensive Care Unit MMA, they are stable, conscious and oriented. Their condition will be under close supervision for a few days because of the specific internal injuries.